Pro-Change’s Health Risk Intervention (a Health Risk Assessment plus Intervention) and Self-Management Tools (Exercise, Healthy Eating, WeightManagement, Smoking Cessation, Stress Management, Depression Prevention, and Responsible Drinking) were awarded Wellness & Health Promotion (WHP) Certification by the National Committee for Quality Assurance (NCQA). The Health Risk Intervention (HRI) and Self-Management Tools are all part of Pro-Change’s award winning LifeStyle Management Suite. Pro-Change’s NCQA certified programs, including the HRI, use validated questions to assess readiness to change leading health risks and provide immediate evidenced-based, individually tailored feedback about the strategies individuals can use to make progress on reducing their specific risk behaviors. All of Pro-Change’s programs are designed to optimize individual well-being, reduce health care costs, and increase productivity. NCQA’s WHP Certification process is a quality assurance program to help employers get their money’s worth when selecting wellness providers. NCQAcertification identifies solutions that are most likely to deliver on employers’ priorities, such as improving workforce health and reducing absenteeism. WHP certification of Pro-Change’s HRI is an acknowledgement that it helps individuals manage their health. In addition to the individual level feedback, Pro-Change provides the results to employers through a sophisticated aggregate reporting function. WHP Certification also acknowledges that Pro-Change discloses to individuals how it uses the information gathered in the HRI and how it protects individuals’ privacy. WHP certification of the Self-Management Tools guarantees that we provide evidence-based self-management tools to help individuals manage their health. 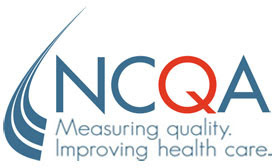 The NCQA standards address important health topics; call for periodic testing to make sure tools are usable; require review and update of tools to reflect changes in evidence; and require Pro-Change to make tools available in different formats. “NCQA certification of our Health Risk Intervention and Self-Management Tools is a reflection of Pro-Change’s ongoing commitment to disseminating effective evidence-based behavior change solutions,” stated Sara S. Johnson, PhD, co-President and CEO of Pro-Change. For more information about Pro-Change’s HRI and LifeStyle Management Suite, please contact Pro-Change at info@prochange.com or (401)360-2980.